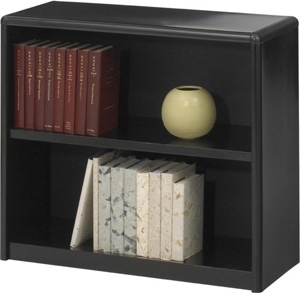 Economical, sturdy and strong with the ValueMate Bookcases you can't go wrong! The shelf and exterior of the bookcase are constructed of steel and the back is made of solid fiberboard. Attractive, plastic snap-in radius corners make assembly easy and add to the overall strength of these units. Generous 12" deep shelves accommodate 3-ring binders and large publications.